"I am hungry and alone…" That’s what former Karnataka power minister Shobha Karandlage told her family about her ordeal at rain-ravaged Kedarnath. Shobha has been stuck in her car since the last three days. 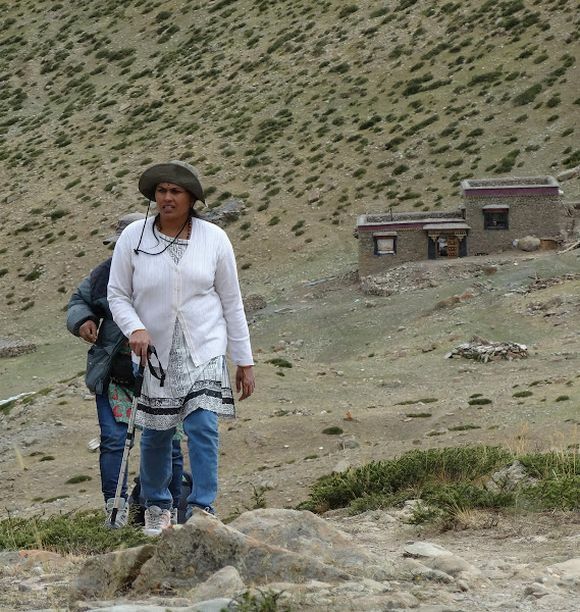 She is trapped around 30 kilometres away from the Tehri dam in Uttarakhand. There are some 75 others who are trapped along with her without food. The authorities who are undertaking rescue operations say that their first priority is to reach every victim and provide them with food. Arrangements to send them back home would be made thereafter. Tales of exasperation are also coming from thousands of other people who are stranded in the region. 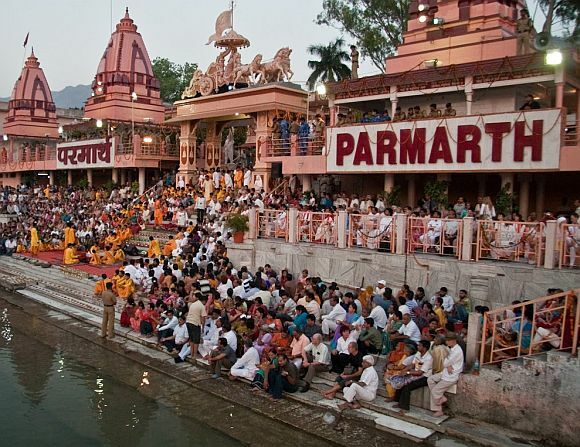 Take the case of the people who have taken shelter at the Paramarth Niketan Ashram at Rishikesh. They are waiting for the situation to ease out. Ashram authorities tell rediff.com that the situation is pretty grim. "We did our best to ensure that we could give some comfort to those in distress. People keep coming in all day and we are providing them with free food and shelter till they are able to return home. At this time all we can think of us is God and what better way of praying than serving mankind," Ashram authorities point out. Survivors point out that they managed to reach the Ashram with a great deal of difficulty. The roads leading to Kedarnath do not exist anymore and there are scores of vehicles that have been stranded. Those who have been stranded on the roads are in worse position.